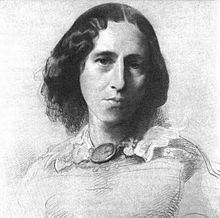 Mary Ann Evans (22 November 1819 – 22 December 1880) was an English novelist and poet, more well-known by her pen name George Eliot, who also for a time used Marian and Mary Anne as variant spellings of her name. Despite the strong social customs of her times against such arrangements, she lived unmarried with fellow writer George Henry Lewes‎‎ for over 20 years. I wish to use my last hours of ease and strength in telling the strange story of my experience. I have never fully unbosomed myself to any human being; I have never been encouraged to trust much in the sympathy of my fellow-men. But we have all a chance of meeting with some pity, some tenderness, some charity, when we are dead: it is the living only who cannot be forgiven — the living only from whom men's indulgence and reverence are held off, like the rain by the hard east wind. While the heart beats, bruise it — it is your only opportunity; while the eye can still turn towards you with moist, timid entreaty, freeze it with an icy unanswering gaze; while the ear, that delicate messenger to the inmost sanctuary of the soul, can still take in the tones of kindness, put it off with hard civility, or sneering compliment, or envious affectation of indifference; while the creative brain can still throb with the sense of injustice, with the yearning for brotherly recognition — make haste — oppress it with your ill-considered judgements, your trivial comparisons, your careless misrepresentations. The heart will by and by be still — "ubi saeva indignatio ulterius cor lacerare nequit" the eye will cease to entreat; the ear will be deaf; the brain will have ceased from all wants as well as from all work. Then your charitable speeches may find vent; then you may remember and pity the toil and the struggle and the failure; then you may give due honour to the work achieved; then you may find extenuation for errors, and may consent to bury them. The realm of silence is large enough beyond the grave. This is the world of light and speech, and I shall take leave to tell you that you are very dear. An election is coming. Universal peace is declared, and the foxes have a sincere interest in prolonging the lives of the poultry. The darkest night that ever fell upon the earth never hid the light, never put out the stars. 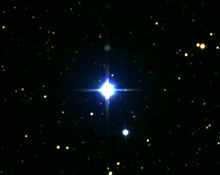 It only made the stars more keenly, kindly glancing, as if in protest against the darkness. But it will be well to put the story in harness with some other productions of mine, and not send it forth in its dismal loneliness. There are many things in it which I would willingly say over again, and I shall never put them in any other form. But we must wait a little. The question is not in the least one of money, but of care for the best effect of writing, which often depends on circumstances, much as pictures depend on light and juxtaposition. I like not only to be loved, but also to be told that I am loved. I am not sure that you are of the same kind. But the realm of silence is large enough beyond the grave. This is the world of light and speech, and I shall take leave to tell you that you are very dear. Impressions of Theophrastus Such, Ch, 4 (1879); comparable to. James Russell Lowell 1871: Blessed are they who have nothing to say, and who cannot be persuaded to say it. As quoted in The New Dictionary of Thoughts : A Cyclopedia of Quotations from the Best Authors of the World, both Ancient and Modern (1960) compiled by Tryon Edwards, C. N. Catrevas, Jonathan Edwards, and Ralph Emerson Browns. The difficulty is, to decide how far resolution should set in the direction of activity rather than in the acceptance of a more negative state. Any coward can fight a battle when he's sure of winning; but give me the man who has pluck to fight when he's sure of losing. That's my way, sir; and there are many victories worse than a defeat. The blessed work of helping the world forward, happily does not wait to be done by perfect men. This volume contains three stories: "The Sad Fortunes of the Rev. Amos Barton", "Mr Gilfil's Love Story" and "Janet's Repentance". The full text is available from Project Gutenberg. Every man who is not a monster, a mathematician, or a mad philosopher, is the slave of some woman or other. [Most people] are neither extraordinarily silly, nor extraordinarily wicked, nor extraordinarily wise; their eyes are neither deep and liquid with sentiment, nor sparkling with suppressed witticisms; they have probably had no hairbreadth escapes or thrilling adventures; their brains are certainly not pregnant with genius, and their passions have not manifested themselves at all after the fashion of a volcano. … Depend upon it, you would gain unspeakably if you would learn with me to see some of the poetry and the pathos, the tragedy and the comedy, lying in the experience of a human soul that looks out through dull grey eyes, and that speaks in a voice of quite ordinary tones. Opposition may become sweet to a man when he has christened it persecution. "Janet's Repentance" Ch. 10 in Scenes of Clerical Life (1858); this has appeared in paraphrased form as: "The important work of moving the world forward does not wait to be done by perfect men." Worldly faces, never look so worldly as at a funeral. Dulness intuitive declares wit dull? Our dead are never dead to us until we have forgotten them. It's but little good you'll do a-watering the last year's crop. Deep, unspeakable suffering may well be called a baptism, a regeneration, the initiation into a new state. Consequences are unpitying. Our deeds carry their terrible consequences, quite apart from any fluctuations that went before — consequences that are hardly ever confined to ourselves. The natur o' things doesn't change, though it seems as if one's own life was nothing but change. The square o' four is sixteen, and you must lengthen your lever in proportion to your weight, is as true when a man's miserable as when he's happy; and the best o' working is, it gives you a grip hold o' things outside your own lot". "There's folks as make bad butter and trusten to the salt t' hide it." It was a still afternoon — the golden light was lingering languidly among the upper boughs, only glancing down here and there on the purple pathway and its edge of faintly sprinkled moss: an afternoon in which destiny disguises her cold awful face behind a hazy radiant veil, encloses us in warm downy wings, and poisons us with violet-scented breath. Her heart lived in no cherished secrets of its own, but in feelings which it longed to share with all the world. People who love downy peaches are apt not to think of the stone, and sometimes jar their teeth terribly against it. One can say everything best over a meal. "I like breakfast-time better than any other moment in the day," said Mr. Irwine. "No dust has settled on one's mind then, and it presents a clear mirror to the rays of things". These fellow-mortals, every one, must be accepted as they are: you can neither straighten their noses, nor brighten their wit, nor rectify their dispositions; and it is these people — amongst whom your life is passed — that it is needful you should tolerate, pity, and love: it is these more or less ugly, stupid, inconsistent people whose movements of goodness you should be able to admire — for whom you should cherish all possible hopes, all possible patience. And I would not, even if I had the choice, be the clever novelist who could create a world so much better than this, in which we get up in the morning to do our daily work, that you would be likely to turn a harder, colder eye on the dusty streets and the common green fields — on the real breathing men and women, who can be chilled by your indifference or injured by your prejudice; who can be cheered and helped onward by your fellow-feeling, your forbearance, your outspoken, brave justice. So I am content to tell my simple story, without trying to make things seem better than they were; dreading nothing, indeed, but falsity, which, in spite of one's best efforts, there is reason to dread. Falsehood is so easy, truth so difficult. The pencil is conscious of a delightful facility in drawing a griffin — the longer the claws, and the larger the wings, the better; but that marvellous facility which we mistook for genius is apt to forsake us when we want to draw a real unexaggerated lion. Examine your words well, and you will find that even when you have no motive to be false, it is a very hard thing to say the exact truth, even about your own immediate feelings — much harder than to say something fine about them which is not the exact truth. Human feeling is like the mighty rivers that bless the earth: it does not wait for beauty — it flows with resistless force and brings beauty with it. All honour and reverence to the divine beauty of form! Let us cultivate it to the utmost in men, women, and children — in our gardens and in our houses. But let us love that other beauty too, which lies in no secret of proportion, but in the secret of deep human sympathy. Paint us an angel, if you can, with a floating violet robe, and a face paled by the celestial light; paint us yet oftener a Madonna, turning her mild face upward and opening her arms to welcome the divine glory; but do not impose on us any aesthetic rules which shall banish from the region of Art those old women scraping carrots with their work-worn hands, those heavy clowns taking holiday in a dingy pot-house, those rounded backs and stupid weather-beaten faces that have bent over the spade and done the rough work of the world — those homes with their tin pans, their brown pitchers, their rough curs, and their clusters of onions. In this world there are so many of these common coarse people, who have no picturesque sentimental wretchedness! It is so needful we should remember their existence, else we may happen to leave them quite out of our religion and philosophy and frame lofty theories which only fit a world of extremes. Therefore, let Art always remind us of them; therefore let us always have men ready to give the loving pains of a life to the faithful representing of commonplace things — men who see beauty in these commonplace things, and delight in showing how kindly the light of heaven falls on them. There are few prophets in the world; few sublimely beautiful women; few heroes. I can't afford to give all my love and reverence to such rarities: I want a great deal of those feelings for my every-day fellow-men, especially for the few in the foreground of the great multitude, whose faces I know, whose hands I touch for whom I have to make way with kindly courtesy. It seems to me now, if I was to find Father at home to-night, I should behave different; but there's no knowing — perhaps nothing 'ud be a lesson to us if it didn't come too late. It was the last weakness he meant to indulge in; and a man never lies with more delicious languor under the influence of a passion than when he has persuaded himself that he shall subdue it to-morrow. There are so many of us, and our lots are so different, what wonder that Nature's mood is often in harsh contrast with the great crisis of our lives? We are children of a large family, and must learn, as such children do, not to expect that our hurts will be made much of — to be content with little nurture and caressing, and help each other the more. There is no despair so absolute as that which comes with the first moments of our first great sorrow, when we have not yet known what it is to have suffered and be healed, to have despaired and to have recovered hope. There's no pleasure i' living if you're to be corked up for ever, and only dribble your mind out by the sly, like a leaky barrel. Men's lives are as thoroughly blended with each other as the air they breathe: evil spreads as necessarily as disease. How is it that the poets have said so many fine things about our first love, so few about our later love? Are their first poems their best? Or are not those the best which come from their fuller thought, their larger experience, their deeper-rooted affections? They kissed each other with a deep joy. What greater thing is there for two human souls, than to feel that they are joined for life — to strengthen each other in all labour, to rest on each other in all sorrow, to minister to each other in all pain, to be one with each other in silent unspeakable memories at the moment of the last parting? You told me the truth when you said to me once, "There's a sort of wrong that can never be made up for". Et d’avoir, moi, le coq, fait élever le soleil. At having, I myself, caused the sun to rise. Howiver, I'm not denyin' the women are foolish: God Almighty made 'em to match the men. Our life is determined for us — and it makes the mind very free when we give up wishing and only think of bearing what is laid upon us and doing what is given us to do. I should like to know what is the proper function of women, if it is not to make reasons for husbands to stay at home, and still stronger reasons for bachelors to go out. I think I should have no other mortal wants, if I could always have plenty of music. It seems to infuse strength into my limbs, and ideas into my brain. Life seems to go on without effort, when I am filled with music. How lovely the little river is, with its dark changing wavelets! It seems to me like a living companion while I wander along the bank, and listen to its low, placid voice . . . Better spend an extra hundred or two on your son's education, than leave it him in your will. If a man means to be hard, let him keep in his saddle and speak from that height, above the level of pleading eyes, and with the command of a distant horizon. Ugly and deformed people have great need of unusual virtues, because they are likely to be extremely uncomfortable without them. There was no gleam, no shadow, for the heavens, too, were one still, pale cloud; no sound or motion in anything but the dark river that flowed and moaned like an unresting sorrow. It is doubtful whether our soldiers would be maintained if there were not pacific people at home who like to fancy themselves soldiers. War, like other dramatic spectacles, might possibly cease for want of a "public." If boys and men are to be welded together in the glow of transient feeling, they must be made of metal that will mix, else they inevitably fall asunder when the heat dies out. If I got places, sir, it was because I made myself fit for 'em. If you want to slip into a round hole, you must make a ball of yourself; that's where it is. It seems to me we can never give up longing and wishing while we are thoroughly alive. There are certain things we feel to be beautiful and good, and we must hunger after them. How can we ever be satisfied without them until our feelings are deadened? She and Stephen were in that stage of courtship which makes the most exquisite moment of youth, the freshest blossom-time of passion, — when each is sure of the other's love, but no formal declaration has been made, and all is mutual divination, exalting the most trivial word, the lightest gesture, into thrills delicate and delicious as wafted jasmine scent. One gets a bad habit of being unhappy. Nature repairs her ravages, — repairs them with her sunshine, and with human labor. The desolation wrought by that flood had left little visible trace on the face of the earth, five years after. The fifth autumn was rich in golden cornstacks, rising in thick clusters among the distant hedgerows; the wharves and warehouses on the Floss were busy again, with echoes of eager voices, with hopeful lading and unlading. And every man and woman mentioned in this history was still living, except those whose end we know. Nature repairs her ravages, but not all. 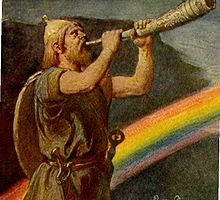 The uptorn trees are not rooted again; the parted hills are left scarred; if there is a new growth, the trees are not the same as the old, and the hills underneath their green vesture bear the marks of the past rending. To the eyes that have dwelt on the past, there is no thorough repair. But then the need of being loved, the strongest need … in poor Maggie’s nature, began to wrestle with her pride and soon threw it. He seemed to weave, like the spider, from pure impulse, without reflection. Every man's work, pursued steadily, tends in this way to become an end in itself, and so to bridge over the loveless chasms of his life. He hated the thought of the past; there was nothing that called out his love and fellowship toward the strangers he had come amongst; and the future was all dark. the rich ate and drank freely, accepting gout and apoplexy as things that ran mysteriously in respectable families . . . So soon as Squire Cass's standing dishes diminished in plenty and freshness, his guests had nothing to do but to walk a little higher up the village to Mr. Osgood's, at the Orchards, and they found hams and chines uncut, pork-pies with the scent of the fire in them, spun butter in all its freshness — everything, in fact, that appetites at leisure could desire, in perhaps greater perfection, though not in greater abundance, than at Squire Cass's. The yoke a man creates for himself by wrong-doing will breed hate in the kindliest nature; . . . The lapse of time during which a given event has not happened, is, in this logic of habit, constantly alleged as a reason why the event should never happen, even when the lapse of time is precisely the added condition which makes the event imminent. A man will tell you that he has worked in a mine for forty years unhurt by an accident as a reason why he should apprehend no danger, though the roof is beginning to sink . . .
. . . "there's allays two 'pinions; there's the 'pinion a man has of himsen, and there's the 'pinion other folks have on him. There'd be two 'pinions about a cracked bell, if the bell could hear itself." Instead of trying to still his fears he encouraged them, with that superstitious impression which clings to us all, that if we expect evil very strongly it is the less likely to come; . . . He fled to his usual refuge, that of hoping for some unforeseen turn of fortune, some favourable chance which would save him from unpleasant consequences – perhaps even justify his insincerity by manifesting prudence. In this point of trusting in some throw of fortune's dice, Godfrey can hardly be called old-fashioned. Favourable Chance is the god of all men who follow their own devices instead of obeying a law they believe in. Let even a polished man of these days get into a position he is ashamed to avow, and his mind will be bent on all the possible issues that may deliver him from the calculable results of that position. Let him live outside his income, or shirk the resolute honest work that brings wages, and he will presently find himself dreaming of a possible benefactor, a possible simpleton who may be cajoled into using his interest, a possible state of mind in some possible person not yet forthcoming. Let him neglect the responsibilities of his office, and he will inevitably anchor himself on the chance, that the thing left undone may turn out not to be of the supposed importance. Let him betray his friend's confidence, and he will adore that same cunning complexity called Chance, which gives him the hope that his friend will never know. Let him forsake a decent craft that he may pursue the gentilities of a profession to which nature never called him, and his religion will infallibly be the worship of blessed Chance, which he will believe in as the mighty creator of success. The evil principle deprecated in that religion, is the orderly sequence by which the seed brings forth a crop after its kind. I suppose one reason why we are seldom able to comfort our neighbours with our words is that our goodwill gets adulterated, in spite of ourselves, before it can pass our lips. We can send black puddings and petticoes without giving them a flavour of our own egoism; but language is a stream that is almost sure to smack of a mingled soil. There was a fair proportion of kindness in Raveloe; but it was often of a beery and bungling sort, and took the shape least allied to the complimentary and hypocritical. He had a sense that the old man meant to be good-natured and neighbourly; but the kindness fell on him as sunshine falls on the wretched — he had no heart to taste it, and felt that it was very far off him. Formerly, his heart had been as a locked casket with its treasure inside; but now the casket was empty, and the lock was broken. Left groping in darkness, with his prop utterly gone, Silas had inevitably a sense, though a dull and half-despairing one, that if any help came to him it must come from without; and there was a slight stirring of expectation at the sight of his fellow-men, a faint consciousness of dependence on their goodwill. It is seldom that the miserable can help regarding their misery as a wrong inflicted by those who are less miserable. She was perfectly quiet now, but not asleep — only soothed by sweet porridge and warmth into that wide-gazing calm which makes us older human beings, with our inward turmoil, feel a certain awe in the presence of a little child, such as we feel before some quiet majesty or beauty in the earth or sky — before a steady glowing planet, or a full-flowered eglantine, or the bending trees over a silent pathway. "Ah," said Dolly, with soothing gravity, "it's like the night and the morning, and the sleeping and the waking, and the rain and the harvest — one goes and the other comes, and we know nothing how nor where. We may strive and scrat and fend, but it's little we can do arter all — the big things come and go wi' no striving o' our'n — they do, that they do; and I think you're in the right on it to keep the little un, Master Marner, seeing as it's been sent to you, though there's folks as thinks different." That quiet mutual gaze of a trusting husband and wife is like the first moment of rest or refuge from a great weariness or a great danger — not to be interfered with by speech or action which would distract the sensations from the fresh enjoyment of repose. when a man had deserved his good luck, it was the part of his neighbours to wish him joy. Façade of Santa Croce, one of the Florentine locations used in the historical novel Romola. First book edition text at Wikisource; chapter numbering differs in later editions. His mind was destitute of that dread which has been erroneously decried as if it were nothing higher than a man’s animal care for his own skin: that awe of the Divine Nemesis which was felt by religious pagans, and, though it took a more positive form under Christianity, is still felt by the mass of mankind simply as a vague fear at anything which is called wrong-doing. Such terror of the unseen is so far above mere sensual cowardice that it will annihilate that cowardice: it is the initial recognition of a moral law restraining desire, and checks the hard bold scrutiny of imperfect thought into obligations which can never be proved to have any sanctity in the absence of feeling. Tito was experiencing that inexorable law of human souls, that we prepare ourselves for sudden deeds by the reiterated choice of good or evil that gradually determines character. Love does not aim simply at the conscious good of the beloved object: it is not satisfied without perfect loyalty of heart; it aims at its own completeness. No radiant angel came across the gloom with a clear message for her. In those times, as now, there were human beings who never saw angels or heard perfectly clear messages. Such truth as came to them was brought confusedly in the voices and deeds of men not at all like the seraphs of unfailing wing and piercing vision—men who believed falsities as well as truths, and did the wrong as well as the right. The helping hands stretched out to them were the hands of men who stumbled and often saw dimly, so that these beings unvisited by angels had no other choice than to grasp that stumbling guidance along the path of reliance and action which is the path of life, or else to pause in loneliness and disbelief, which is no path, but the arrest of inaction and death. But veracity is a plant of paradise, and the seeds have never flourished beyond the walls. Already handbills were in circulation; some presenting, in large print, the alternative of justice on the conspirators or ruin to the Republic; others in equally large print urging the observance of the law and the granting of the Appeal. Round these jutting islets of black capitals there were lakes of smaller characters setting forth arguments less necessary to be read: for it was an opinion entertained at that time (in the first flush of triumph at the discovery of printing), that there was no argument more widely convincing than question-begging phrases in large type. But these things are often unknown to the world; for there is much pain that is quite noiseless; and vibrations that make human agonies are often a mere whisper in the roar of hurrying existence. There are glances of hatred that stab and raise no cry of murder; robberies that leave man or woman for ever beggared of peace and joy, yet kept secret by the sufferer – committed to no sound except that of low moans in the night, seen in no writing except that made on the face by the slow months of suppressed anguish and early morning tears. Many an inherited sorrow that has marred a life has been breathed in no human ear. Truth is the precious harvest of the earth. Until men said, What profits it to sow? We mortals sometimes cut a pitiable figure in our attempts at display. We may be sure of our own merits, yet fatally ignorant of the point of view from which we are regarded by our neighbour. Our fine patterns in tattooing may be far from throwing him into a swoon of admiration, though we turn ourselves all round to show them. [Mr Johnson] "You know what a Tory is – one who wants to drive the working men as he'd drive cattle." [Christian] ... he felt very much like an uninitiated chess-player who sees that the pieces are in a peculiar position on the board, and might open the way for him to give checkmate, if he only knew how. So our lives glide on: the river ends we don't know where, and the sea begins, and then there is no more jumping ashore. Fancy what a game at chess would be if all the chessmen had passions and intellects, more or less small and cunning; if you were not only uncertain about your adversary's men, but a little uncertain also about your own; if your knight could shuffle himself on to a new square by the sly; if your bishop, in disgust at your castling, could wheedle your pawns out of their places; and if your pawns, hating you because they are pawns, could make away from their appointed posts that you might get checkmate on a sudden. You might be the longest-headed of deducted reasoners, and yet you might be beaten by your own pawns. You would be especially likely to be beaten, if you depended arrogantly on your mathematical imagination, and regarded your passionate pieces with contempt. Yet this imaginary chess is easy compared with the game a man has to play against his fellow-men with other fellow-men for his instruments. He thinks himself sagacious, perhaps, because he trusts no bond except that of self-interest; but the only self-interest he can safely rely on is what seems to be such to the mind he would use or govern. Can he ever be sure of knowing this? His smile is sweetened by his gravity. Certain winds will make men's temper bad. Sad as a wasted passion. As heavenly air is blent with heavenly blue. To make indulgence seem judicious choice. For what has been and is not. He looked within, and saw them mirrored there. For lack of speech to tell us they are glad. And could be pitiful and melancholy. Buried ere death in silent helplessness. Mildly secure in power that needs not guile. Shape breeding shape beneath his restless hand. But were as seeds instinct with hidden power. Some living sea that burst the bounds of man's brief age. Its fine division of the good and ill.
And where great Song is, there my life shall be. Sailing the first toward lands which others win. Of the world's harvest, make one poor small lyre. And where great Song is, there my life shall be." Too few to meet the growing spirit's call. — All eyes can see when light flows out from God. Moved with a wider-winged utterance. The secret is too great, I hear confusedly. "'Tis he!" and run to greet me, welcoming. The common need, love, joy, that knits them in one whole. That grateful rolled itself to him again. The universal joy once born in him. Each voice with each in praise of Jubal vied. While all that ardent kindred passed him by? Of all the hymning train was present there. Cried, "I am Jubal, I!.... I made the lyre!" To listening crowds in expectation spanned. While Jubal lonely laid him down to die. Jubal was not a name to wed with mockery. Of thorny thickets, and there fell unseen. So of my mighty years nought comes to me again". Yea — art thou come again to me, great Song?" That past unchangeable, from change still wrought. The soul that makes thee one from first to last. Thy outbreathed being drawing its last breath. Who blest thy lot above all men's beside? Of the world's spring-tide in thy conscious breast? Were flesh of her flesh and her womb of Life. With thy coming Melody was come. A seed primeval that has forests bred. That nought but Earth's destruction can destroy. For too much wealth amid their poverty. What do we live for, if it is not to make life less difficult to each other? That Spanish woman who lived three hundred years ago, was certainly not the last of her kind. Many Theresas have been born who found for themselves no epic life wherein there was a constant unfolding of far-resonant action; perhaps only a life of mistakes, the offspring of a certain spiritual grandeur ill-matched with the meanness of opportunity; perhaps a tragic failure which found no sacred poet and sank unwept into oblivion. Some have felt that these blundering lives are due to the inconvenient indefiniteness with which the Supreme Power has fashioned the natures of women: if there were one level of feminine incompetence as strict as the ability to count three and no more, the social lot of women might be treated with scientific certitude. Meanwhile the indefiniteness remains, and the limits of variation are really much wider than any one would imagine from the sameness of women's coiffure and the favorite love-stories in prose and verse. Here and there a cygnet is reared uneasily among the ducklings in the brown pond, and never finds the living stream in fellowship with its own oary-footed kind. Here and there is born a Saint Theresa, foundress of nothing, whose loving heart-beats and sobs after an unattained goodness tremble off and are dispersed among hindrances, instead of centring in some long-recognizable deed. She could not reconcile the anxieties of a spiritual life involving eternal consequences, with a keen interest in gimp and artificial protrusions of drapery. Her mind was theoretic, and yearned by its nature after some lofty conception of the world which might frankly include the parish of Tipton and her own rule of conduct there; she was enamoured of intensity and greatness, and rash in embracing whatever seemed to her to have those aspects; likely to seek martyrdom, to make retractations, and then to incur martyrdom after all in a quarter where she had not sought it. Certainly such elements in the character of a marriageable girl tended to interfere with her lot, and hinder it from being decided according to custom, by good looks, vanity, and merely canine affection. Chapter 1 (misprinted as "Some people did" in some editions, such as Penguin Signet Classics). If youth is the season of hope, it is often so only in the sense that our elders are hopeful about us; for no age is so apt as youth to think its emotions, partings, and resolves are the last of their kind. Each crisis seems final, simply because it is new. People glorify all sorts of bravery except the bravery they might show on behalf of their nearest neighbors. This was not the first time that Mr. Bulstrode had begun by admonishing Mr. Vincy, and had ended by seeing a very unsatisfactory reflection of himself in the coarse unflattering mirror which that manufacturer’s mind presented to the subtler lights and shadows of his fellowmen; and perhaps his experience ought to have warned him how the scene would end. But a full-fed fountain will be generous with its waters even in the rain, when they are worse than useless; and a fine fount of admonition is apt to be equally irrepressible. I think any hardship is better than pretending to do what one is paid for, and never really doing it. The world would have a new dreariness for her, as a wilderness that a magician’s spells had turned for a little while into a garden. In all failures, the beginning is certainly the half of the whole. There could have been no more complete answer than that silence, and Lydgate, forgetting everything else, completely mastered by the outrush of tenderness at the sudden belief that this sweet young creature depended on him for her joy, actually put his arms round her, folding her gently and protectingly— he was used to being gentle with the weak and suffering—and kissed each of the two large tears. This was a strange way of arriving at an understanding, but it was a short way. Marriage, which has been the bourne of so many narratives, is still a great beginning, as it was to Adam and Eve, who kept their honeymoon in Eden, but had their first little one among the thorns and thistles of the wilderness. It is still the beginning of the home epic — the gradual conquest or irremediable loss of that complete union which makes the advancing years a climax, and age the harvest of sweet memories in common. But what a voice! It was like the voice of a soul that had once lived in an Aeolian harp. When Mrs. Casaubon was announced he started up as from an electric shock, and felt a tingling at his fingerends. Any one observing him would have seen a change in his complexion, in the adjustment of his facial muscles, in the vividness of his glance, which might have made them imagine that every molecule in his body had passed the message of a magic touch. And so it had. For effective magic is transcendent nature; and who shall measure the subtlety of those touches which convey the quality of soul as well as body, and make a man’s passion for one woman differ from his passion for another as joy in the morning light over valley and river and white mountain-top differs from joy among Chinese lanterns and glass panels? Will, too, was made of very impressible stuff. The bow of a violin drawn near him cleverly, would at one stroke change the aspect of the world for him, and his point of view shifted— as easily as his mood. Dorothea’s entrance was the freshness of morning. It is true that an observer, under that softening influence of the fine arts which makes other people’s hardships picturesque, might have been delighted with this homestead called Freeman’s End. What do we live for, if it is not to make life less difficult to each other? I cannot be indifferent to the troubles of a man who advised me in my trouble, and attended me in my illness. There is no creature whose inward being is so strong that it is not greatly determined by what lies outside it. A new Theresa will hardly have the opportunity of reforming a conventual life, any more than a new Antigone will spend her heroic piety in daring all for the sake of a brother's burial: the medium in which their ardent deeds took shape is forever gone. But we insignificant people with our daily words and acts are preparing the lives of many Dorotheas, some of which may present a far sadder sacrifice than that of the Dorothea whose story we know. Rosamond felt herself beginning to know a great deal of the world, especially in discovering what when she was in her unmarried girlhood had been inconceivable to her except as a dim tragedy in by-gone costumes— that women, even after marriage, might make conquests and enslave men. Still, vanity, with a woman’s whole mind and day to work in, can construct abundantly on slight hints, especially on such a hint as the possibility of indefinite conquests. How delightful to make captives from the throne of marriage with a husband as crown-prince by your side—himself in fact a subject— while the captives look up forever hopeless, losing their rest probably, and if their appetite too, so much the better! It is in these acts called trivialities that the seeds of joy are forever wasted, until men and women look round with haggard faces at the devastation their own waste has made, and say, the earth bears no harvest of sweetness—calling their denial knowledge. She nursed him, she read to him, she anticipated his wants, and was solicitous about his feelings; but there had entered into the husband’s mind the certainty that she judged him, and that her wifely devotedness was like a penitential expiation of unbelieving thoughts—was accompanied with a power of comparison by which himself and his doings were seen too luminously as a part of things in general. His discontent passed vaporlike through all her gentle loving manifestations, and clung to that unappreciative world which she had only brought nearer to him. But a morbid consciousness that others did not give him the place which he had not demonstrably merited—a perpetual suspicious conjecture that the views entertained of him were not to his advantage— a melancholy absence of passion in his efforts at achievement, and a passionate resistance to the confession that he had achieved nothing. It was a room where you had no reason for sitting in one place rather than in another. The beings closest to us, whether in love or hate, are often virtually our interpreters of the world, and some feather-headed gentleman or lady whom in passing we regret to take as legal tender for a human being may be acting as a melancholy theory of life in the minds of those who live with them — like a piece of yellow and wavy glass that distorts form and makes colour an affliction. Their trivial sentences, their petty standards, their low suspicions, their loveless ennui, may be making somebody else's life no better than a promenade through a pantheon of ugly idols. The mother's yearning, that completest type of the life in another life which is the essence of real human love, feels the presence of the cherished child even in the debased, degraded man. This has been paraphrased as: "Be courteous, be obliging, but don't give yourself over to be melted down for the benefit of the tallow trade." The miller's daughter of fourteen could not believe that high gentry behaved badly to their wives, but her mother instructed her — "Oh, child, men's men: gentle or simple, they're much of a muchness..."
Vanity is as ill at ease under indifference as tenderness is under a love which it cannot return . . . Pride helps us; and pride is not a bad thing when it only urges us to hide our own hurts—not to hurt others. I say that the strongest principle of growth lies in human choice. You know nothing about Hope, that immortal, delicious maiden forever courted forever propitious, whom fools have called deceitful, as if it were Hope that carried the cup of disappointment, whereas it is her deadly enemy, Certainty, whom she only escapes by transformation. There's no disappointment in memory, and one's exaggerations are always on the good side. A human life, I think, should be well rooted in some spot of native land, where it may get the love of tender kinship for the face of earth, for the labours men go forth to, for the sounds and accents that haunt it, for whatever will give that early home a familiar unmistakeable difference amidst the future widening of knowledge: a spot where the definiteness of early memories may be inwrought with affection, and kindly acquaintance with all neighbours, even to the dogs and donkeys, may spread not by sentimental effort and reflection, but as a sweet habbit of the blood. 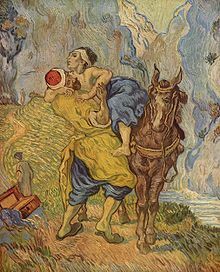 At five years old, mortals are not prepared to be citizens of the world, to be stimulated by abstract nouns, to soar above preference into impartiality; and that prejudice in favour of milk with which we blindly begin, is a type of the way body and soul must get nourished at least for a time. The best introduction to astronomy is to think of the nightly heavens as a little lot of stars belonging to one's own homestead. I began … to watch with peculiar alarm lest what I called my philosophic estimate of the human lot in general, should be a mere prose lyric expressing my own pain and consequent bad temper. Examining the world in order to find consolation is very much like looking carefully over the pages of a great book in order to find our own name. … Whether we find what we want or not, our preoccupation has hindered us from a true knowledge of the contents. … that modern sect of Flagellants who make a ritual of lashing — not themselves but — all their neighbours. Oh, the comfort — the inexpressible comfort of feeling safe with a person — having neither to weigh thoughts nor measure words, but pouring them all right out, just as they are, chaff and grain together; certain that a faithful hand will take and sift them, keep what is worth keeping, and then with the breath of kindness blow the rest away. Leo Tolstoy, in a letter to A. A. Tolstaya (1859). She is magnificently ugly — deliciously hideous... in this vast ugliness resides a most powerful beauty which, in a very few minutes steals forth and charms the mind, so that you end as I ended, in falling in love with her. What is remarkable, extraordinary — and the process remains inscrutable and mysterious — is that this quiet, anxious, sedentary, serious, invalidical English lady, without animal spirits, without adventures, without extravagance, assumption, or bravado, should have made us believe that nothing in the world was alien to her; should have produced such rich, deep, masterly pictures of the multifold life of man. Have you read anything beautiful lately? Do make sure somehow to get hold of and read the books by Eliot, you won’t be sorry, Adam Bede, Silas Marner, Felix Holt, Romola (Savonarola’s story), Scenes of clerical life. You know we gave the 3 underlined ones to Pa on his birthday last year. When I get the time for reading, I’ll read them again. What I’m getting at, among other things, is that Eliot is masterly in execution, but above and beyond that is that extra something of singular genius of which I would say: perhaps one improves by reading these books — or, these books have the power to invigorate. I recently re-read Eliot’s Felix Holt, The radical. This book has been very well translated into Dutch. I hope you know it — if you don’t know it, see if you can’t get hold of it somewhere. There are certain ideas about life in it that I find outstanding — profound things said in a plain way — it’s a book written with great spirit, and various scenes are described exactly as Frank Holl or someone like him would draw them. It’s a similar conception and outlook. There aren’t many writers who are as thoroughly sincere and good as Eliot. Vincent van Gogh, letter to Anthon van Rappard (21 March 1883) The Complete Letters of Vincent van Gogh. The idea is to downgrade the notion of individual genius, as if George Eliot’s personal contribution to the writing of Middlemarch were somehow accidental, the more important thing being the “specific ideological determinations” she embodied. The main point of all this is that nothing is what it seems; or, as Professor Eagleton puts it in Criticism and Ideology, “there is no ‘immanent’ value”: everything in the realm of culture is determined by something outside culture–namely (catch that whiff of vulgarity?) the oppressive economic relations of capitalism. You see, it was really George Eliot who started it all… It was she who started putting all the action inside. Folks will want things intellectually done, so they take refuge in George Eliot. I am very fond of her, but I wish she'd take her specs off, and come down off the public platform. Once, when she [Eliot] was asked which real-life person had been the inspiration for Casaubon — a man whose "soul was sensitive without being enthusiastic; it was too languid to thrill out of self-consciousness into passionate delight; it went on fluttering in the swampy ground where it was hatched, thinking of its own winds and never flying" — she tapped her own breast. This page was last edited on 3 April 2019, at 19:50.